Having a dry creek bed in your garden will give a soothing and natural look over there. Also, one such bed will allow efficient drainage of rainwater. And guess what it is not at all difficult to make one such bed. You just need to have the right tools and materials, such as river bed cobble, weed fabric, boulders, rototiller, shovel etc. 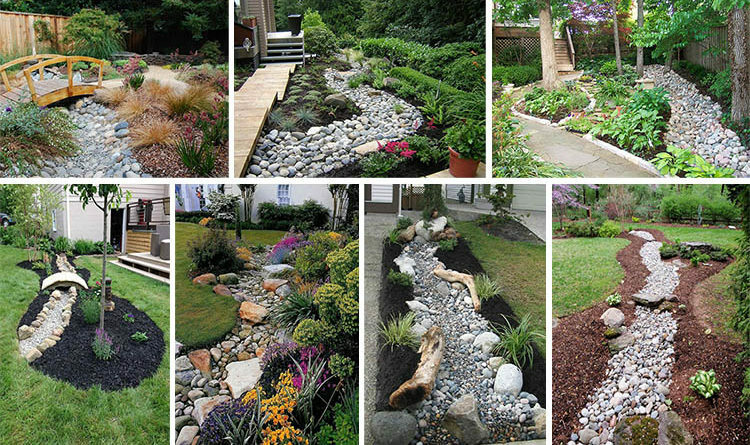 So, you can easily build a dry creek bed and thus control the flow of rainwater across your landscape. The whole process can be divided into several steps. Gorgeous Dry Creek Bed Ideas. Enjoy!